Wild wicked night with lots of branches and trees in flight. Power outages abound as those big pine trees came down. In one house there was still light to help get through this perilous night. 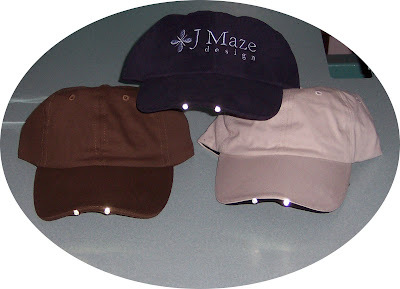 Panther vision hats were there to ensure our continued light. Interested in this product? Call or e-mail us for more information on this product. Don't leave yourself or your employees in the dark. Punxsutawney Phil may have said 6 more weeks and the weatherman may say we are getting 2 feet of snow. But my Irises out in the yard are saying SPRING is on the way and that golf season is coming!!!! 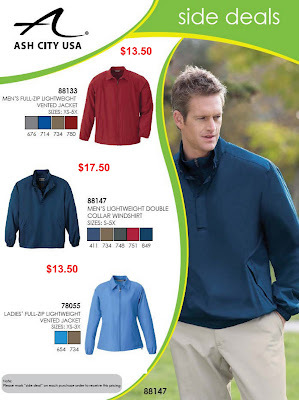 Do you have an early spring golf tournament that you need windshirts or lightweight jackets for? Do you need casual corporate spring apparel for your employees? Do you have a special event coming up where you would like identity for your company? See the attached flyer for current sale items. All sizes and colors on sale are one price for each style. Prices include left chest embroidery up to 8,000 stitches. For better images of the colors available go to www.stylesac.com. Questions? Call or e-mail. Working on a detailed complex design for the Salisbury Police Department. Did you know that Time 4 Change Embroidery does all their design digitizing for embroidery in house? Unlike many embroidery businesses, we maintain quality control of your logo using in-house designing so that we can edit and make changes to your logo as needed to insure we are giving you the quality end product you our customer deserve. With Softball and Baseball season right around the corner did you know that you that Time 4 Change offers Team Uniforms and Team Accessory Apparel? Give us a call and let us show you what we can do for your team. Did you know that Time 4 Change Embroidery has customers from coast to coast? We are happy to ship your orders large or small to any US destination. We offer many product lines. View our online catalog at www.time4changeemb.com. Don't see what your looking for let us know, we have numerous vendors we purchase from.